Today’s guest blogger is Bryan Carlile, an environmental cartographer and photographer. 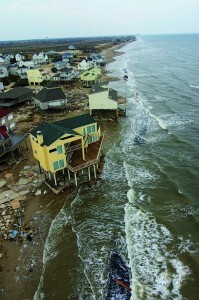 Bryan will join a panel of experts at HMNS on Jan 21 at 6 p.m. to discuss the threats that affect our Texas Gulf Coast. 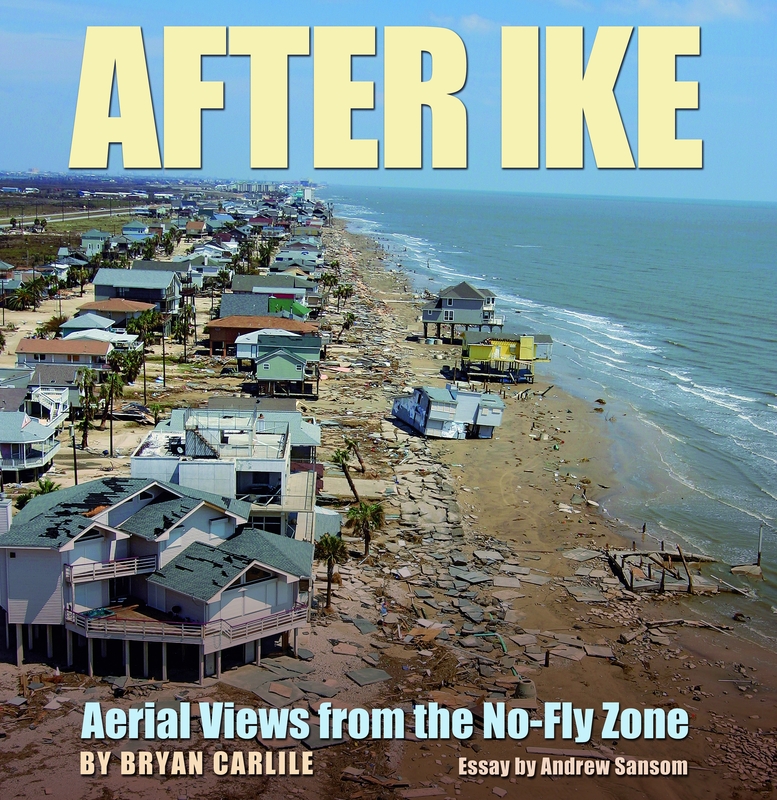 In the article below, Bryan discusses his interest in geospatial technologies and how he was involved in the aftermath of Hurricane Ike. Growing up, while kids around me pretended to be soldiers and football stars, I was recreating the great adventures of discovery in my backyard. I imagined myself as a member of the Lewis & Clark expedition, discovering new worlds and mapping virgin territories. Nothing has ever been as fascinating or exciting to me as the natural world. I grew up with this obsessive passion for science, never knowing that it could become a profession. I did not believe it was possible to make a career out of studying maps, weather patterns and taking pictures of the animals and landscapes that enthralled me. After all, who gets to list ‘fun’ in their job description when they’re grown up? As a geospatial technologies consultant my life is full of doing what I love. I find myself at the center of modern technology, focused on both ancient and developing patterns of our incredible planet Earth. Every day I combine geographic, temporal and spatial information to assist in the planning, decision-making and operational needs of many types of organizations. I create everything from aerial maps of potential corporate sites to defined pollution boundaries for state and local agencies. I am regularly involved in archeology, biology, cartography, ecology, forestry, geology, hydrology and real estate. Working in Texas definitely keeps me busy. Because it is such an enormous state, it encompasses many environments and endless potential. Settled in Houston, I can study urban sprawl, the plains of the Hill Country and the fascinating Gulf Coast. 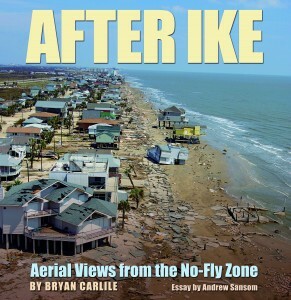 In 2008, when the coast was hit by the monumental hurricane named Ike, I was called upon as a first responder. 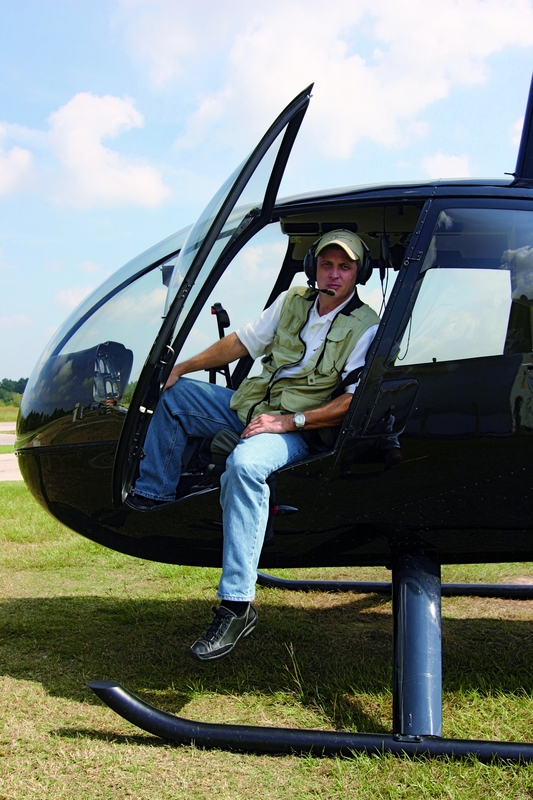 I boarded a helicopter and traveled to Galveston, prepared to assist when nature had dealt one of its worst blows. As I hovered in the Galveston sky, searching for survivors and emergencies to report, I realized the gravity of what had occurred. Nature left me awestruck. I knew very few aircraft were allowed in this area, particularly not press helicopters, and because of this the average Texan would never know how hard their homeland was hit. It felt important to me to capture this moment as a witness to the power of natural disasters and with the hope that maybe scientists could study these images to learn a little bit more about how the natural world works. For the next several days my time on the helicopter was spent concentrating on obtaining the best aerial photographs I could. Aerial photography has always been a hobby of mine and there was no better time to put my skills to good use. Educating ourselves about nature and natural disasters is one of the most important things humans can do. Our planet is a precious resource and the more we learn about the way it works the more we can do to keep it healthy and happy. My next adventure suddenly seemed obvious: What better way to learn about these images than to present them to oceanographers, photographers and natural scientists? Better yet, what if their findings could be discussed among not only each other, but residents of the area that was so affected? 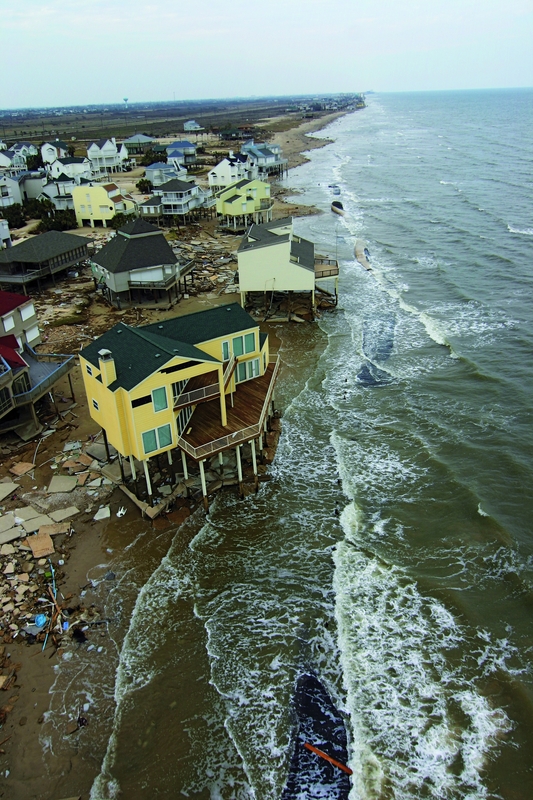 Thursday, Jan. 21 at HMNS, an assembled team from across the country will join together to assess the impact of Hurricane Ike as well as the fragile state of our unique and wonderful ecosystem. The panel is composed of experts that can educate all of us about the Texas Gulf Coast and the effect of such a historically strong storm. Beside me will sit environmental lawyer Jim Blackburn, Oceanography professor John B. Anderson, former director of Texas Parks & Wildlife Andrew Sansom, and the former chief scientist of the U.S. Geological Survey’s Center for Coastal Geology Abby Sallenger. I have no doubt that I will learn as much as I can teach at this symposium, and my hope is for interested and concerned Houstonians to join us. Let’s educate ourselves about the Texas Gulf Coast. I’d love to see you there. Come check out our symposium on the Texas Coast at HMNS on Jan. 21 at 6 p.m. Make sure that while you are here on Jan 21. you sign up to win an aerial tour of Galveston by helicopter.